January is the month everyone is usually glad to see the back off, its the time everyone is a lot poorer from all the festivities and having to get back to reality. I’ve not done a favourite post in a while as I was usually sticking to the same old things and not really getting anything new. However, over Christmas I was given and picked up a few things that I really loved so thought I would share them with you. One of my things I want to do more of this year is fake tan, pretty simple really, I just love that when I’m tanned it makes me feel a lot better about myself. After discovering the Bondai Sands dark tanning mousse that has been my go to but leaving that at uni meant I had to use a cheap one that I had not ever got round to trying. 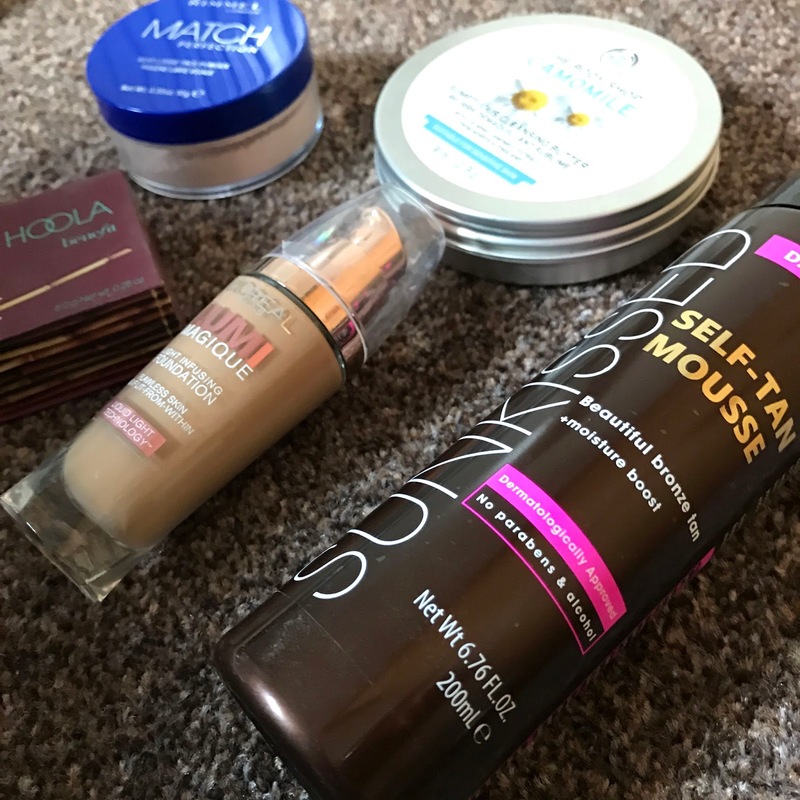 This is the Sunkissed self tanning mousse in dark, I was so pleasantly surprised by this product as when I’ve tried cheaper tans before they’ve been rubbish. But this one worked great I applied about three layers which is quite a lot but I did want it to last a while and it did around 7 days while using gradual tanning moisturiser to keep it looking smooth. When applying none of it came out streaky or too orange so it was great. If you are naturally very pale though I would go for the medium shade or just one layer of this as it might look too dramatic. Keeping with the bronzing theme, for Christmas I received Benefit’s Hoola bronzer which is just a cult make-up must have which has been on my wish list for a while. 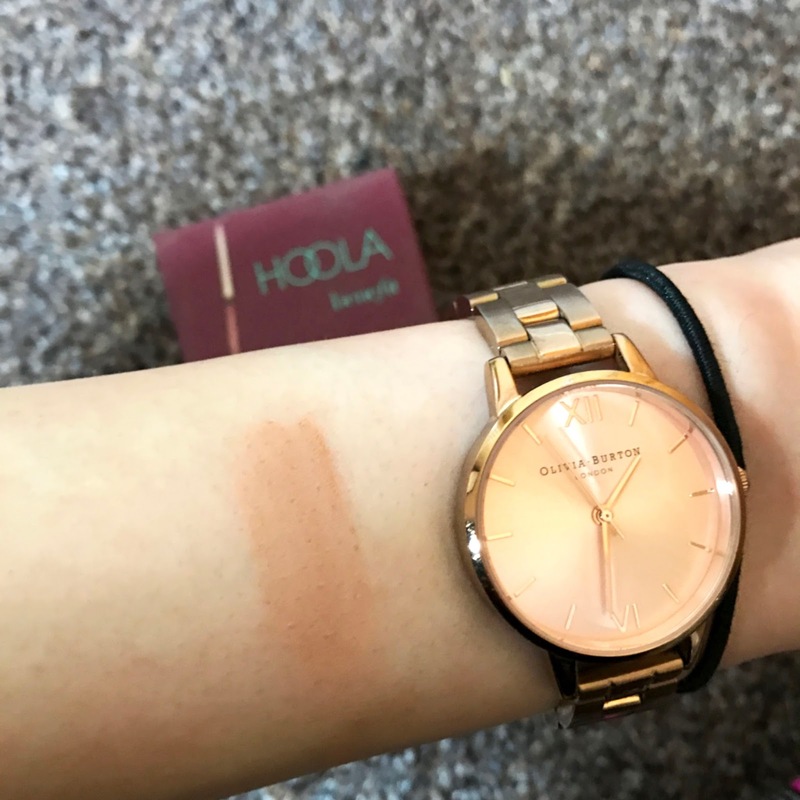 It’s safe to say I’m very happy that I have it in, its the perfect matte bronzing shade for contouring or just a light bronze on the face which can even be built up for a heavy sunkissed bronze. While I was on my tanning mission I realised that I didn’t have a darker foundation to match my skin as I don’t ever like tanning my face. I have been struggling with dry skin due to the weather so wanted a foundation that gives me good coverage and is quite dewy I usually go for the Loreal Infalliable as I am obsessed with the cover it gives. Although the Loreal Lumi Magique might have swayed me, the coverage definitely isn’t as heavy as the other one but gives just what I needed as well as leaving my skin feeling dewy and glowy something that my dry skin is screaming out for. 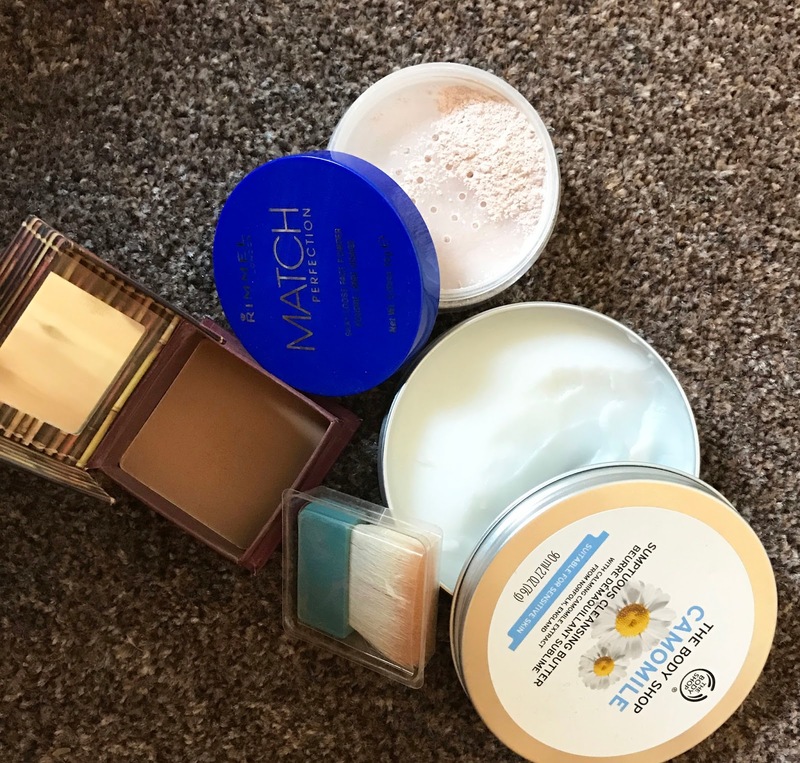 To set all that in place lately I have been going for a translucent powder apart from the Make-up forever HD one that I lost in Corfu (I don’t like to think about it) I’ve never really used one always opting for pressed powder. As my skin as been dry lately I just wanted something that would sit lightly on the skin just to keep my make-up in place and lasting all day which the Rimmel match perfection is perfect for. I’ve been a user of the stay matte for a very long time so like that powder I also got translucent in this one which blended nicely and does not provide any flash back like some translucent powders do. Overall, I am really happy with this product as it does exactly what I want it to. Finally, to take all that off I have been loving The Body Shops camomille cleansing butter, it is actually heaven to use on your skin. I’ve never used a balm to take off my make-up with before just a facial wash but this is a lot more gentle on the skin and you can even take off your eye make-up off too without your eyes burning. I find it hasn’t irritated my skin at all in anyway and is great for my skin type, next in the range I want to try is the cleansing oil.